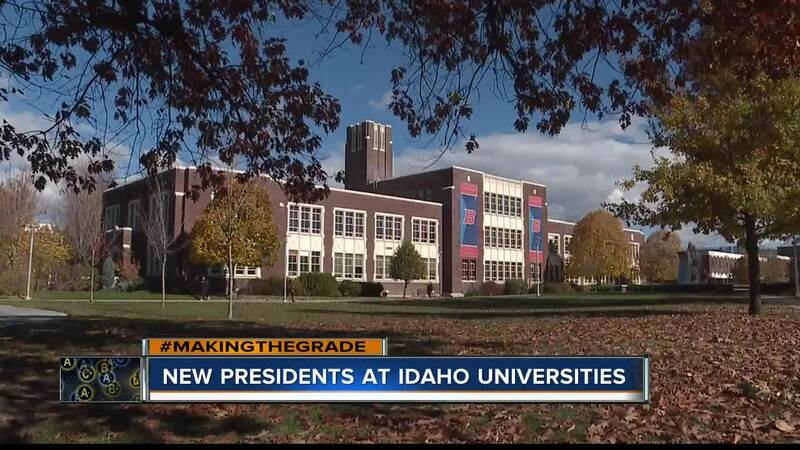 Two Idaho universities are preparing to welcome new leadership. University of Idaho will announce its 19th president Thursday morning while Boise State University will name its new president April 23rd. Four finalists are in the running to replace Chuck Staben as the University of Idaho president, including Christopher Callahan, Diane Chase, Scott Green, and Elizabeth Spiller. The new president will be revealed during a press conference at the Administration Building Auditorium on the University of Idaho's Moscow campus. That starts at 11:30 a.m. on April 11th. The search for a new Boise State president is the second nationwide search. The State Board of Education chose finalists last year but decided to restart the process, costing tax payers hundreds of thousands of dollars. "At five to seven years, a president is going to make about $400,000 a year. A search process that cost about $400,000 and we'll wait to see what it comes out to in the final numbers. It's not out of whack with what you are going to pay a university president necessarily," says Kevin Richert of Idaho Education News. More than 60 people applied to become the seventh Boise State president, and four finalists remain in the running. That announcement is set for 1:30 p.m. on April 23rd. It's happening in the Skyline Room on the sixth floor of the Stueckle Sky Center at Albertsons Stadium on the Boise State campus.